A few years ago, I started wearing reading glasses. They are great. They helped me be able to read menus, tie knots in fishing line, take stickers out of my fingers. Read a tape measure. You probably know exactly what I am talking about. 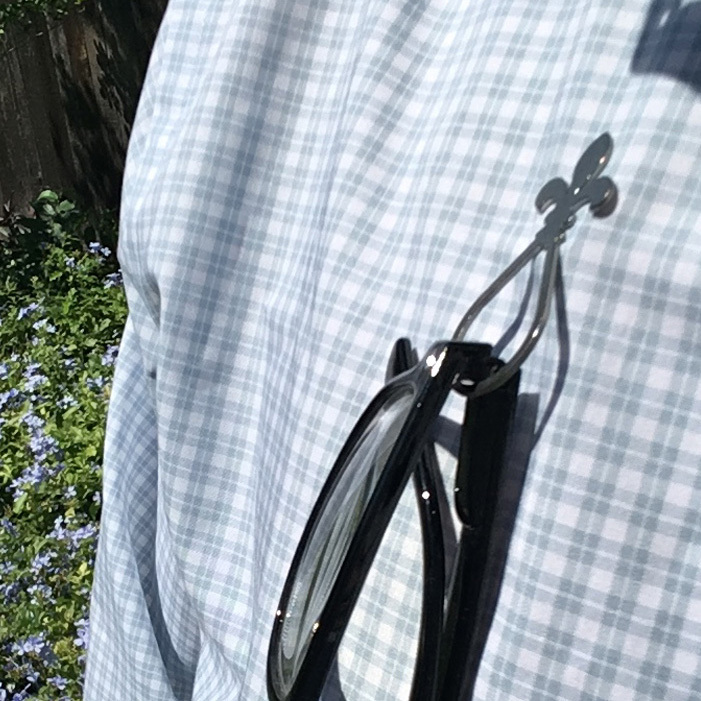 Well, reading glasses don't stay in the crook of a collar for very long, and they disappeared all the time. At the same time, my wife asked "Why aren't you wearing the polo shirts I got you?" I answered "There's no place for my glasses." So I started looking for glasses holders, and didn't find one strong and minimalist enough. So I invented something. And got some patents. It took years. It's been on TV news, in a few magazines, and people like them. First Class USPS is just $3, or order $20 or more, and get free U.S. shipping. 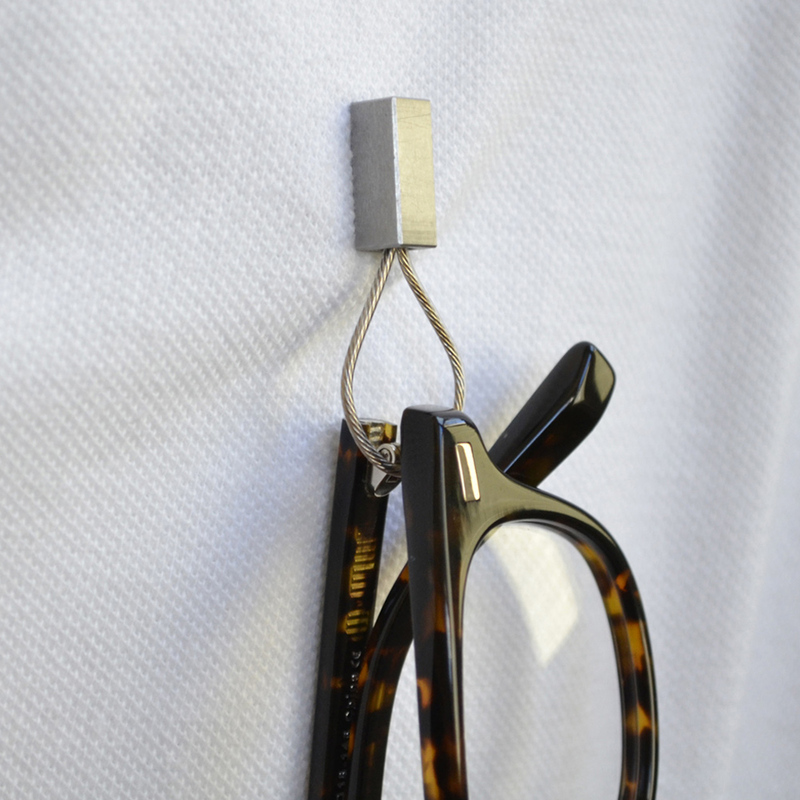 The "Steel-2" is our most popular eyeglass holder. 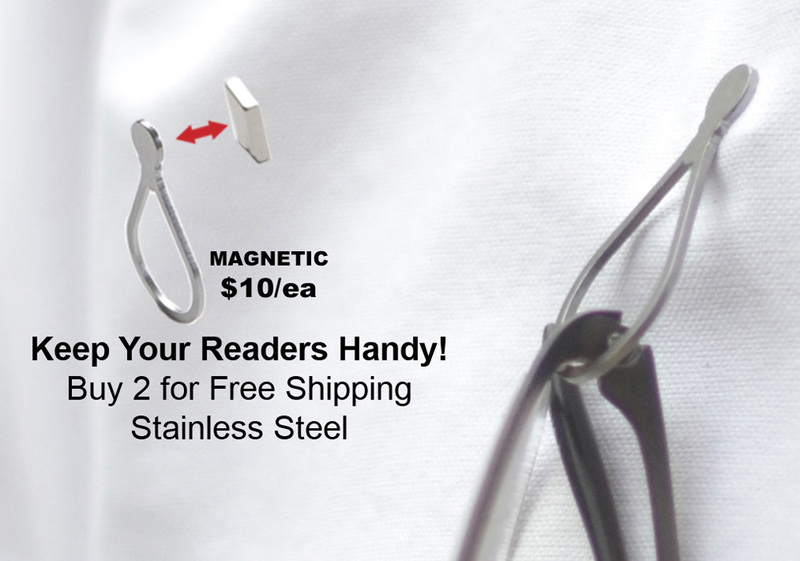 Stainless Steel loop and our magnet is more than strong enough to hold glasses or badge on your shirt. Organic and fluid. The "Fleur Loop" is one of our newer designs. Stainless steel and a bit stronger grip. A classic design that is centuries old. The "Steel-1" is a favorite. Machined from bar stock stainless steel with shark wire held with a set screw, a favorite. So simple and clean. They start with rod stock and machine it down to shape with a multi-axis machine. 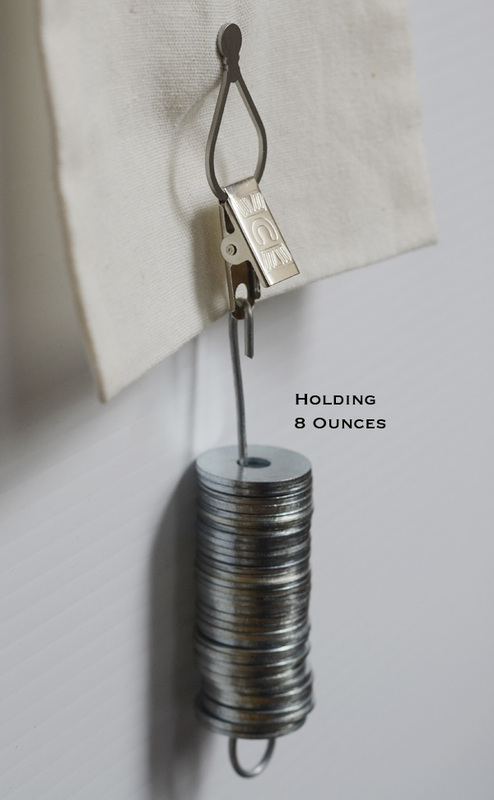 Slide the magnet off the holder, and place the magnet inside shirt, and holder on the outside. 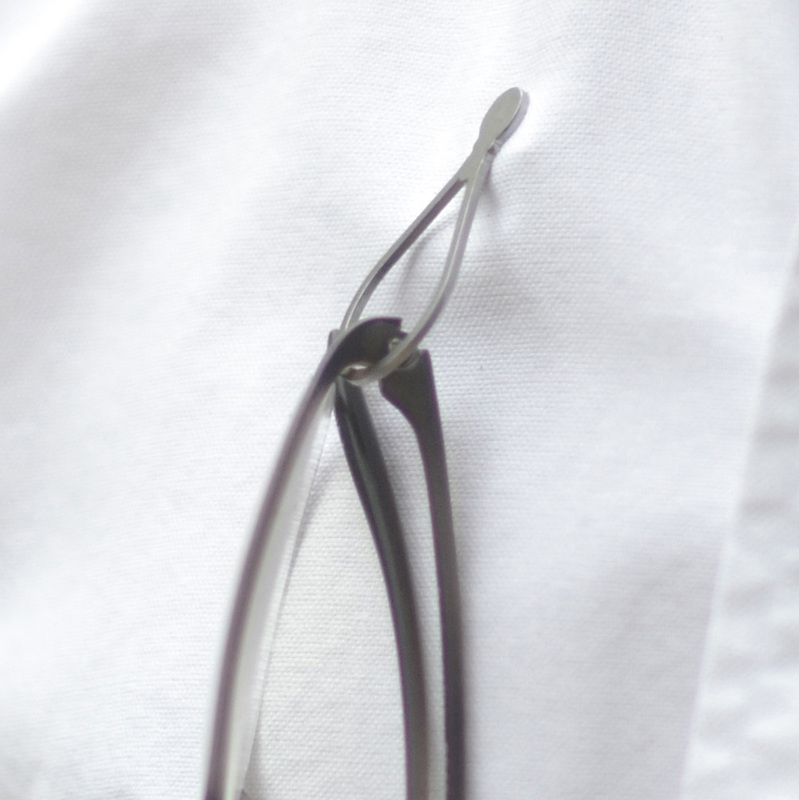 Test with a little tug to make sure all is good, then hang glasses in the loop. Designed for shirts and normal fabrics. Don't use on material that is too thick, since the magnet hold will be reduced. Don't let the magnet snap to surfaces. It can break.